Proper hair care is very important for men these days, as well as hair growth, styling and appearance. However, the biggest problems are hair loss and when they start to go grey. There are several scientific discoveries for baldness and even to bring back your own color hair. These exclude dye’s that might cause some allergic reactions for some people. 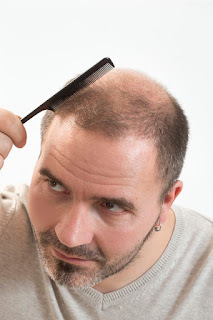 Scientists has discovered that a drug known as ruxolitinib triggers re-growth of men’s hair when they start to go bald. Balding is very common among men. This breakthrough can offer hope to many, especially people that is diagnosed with a disease called alopecia. It’s an autoimmune disease that cause hair to fall out. Scientists feel it can be reversed with this new treatment. After tests was done about seventy-five percent of men with this condition, alopecia, has shown significant re-growth of hair. When the treatment ended there was an average re-growth of ninety-two percent among patients. Although it was only a small study, the evidence proved how effective patients with this disease could be treated. This will also encourage more patients that try to cope with the emotional and physical effect of the disease, to go for treatment. Alopecia areata can also be the reason for loss of hair, which might affect both men, as well as woman the same. This can occur in anyone no matter their age. This disease normally causes loss of hair on the scalp. Although, there are patients that experienced body and facial hair loss, and it has devastating results. Researchers had identified those certain immune cells, as well as the main inflammatory signaling pathways that are accountable for attacking patient’s hair follicles, and causing them to go into the dormant state. Certain drugs can block JAK (Janus kinase) inhibitors which will assists in reawakening the dormant follicles. Two approved drugs that can block these inhibitors are ruxolitinib which is used for treating bone marrow malignancy, as well as tofacitinib which they use to treat rheumatoid arthritis. Baldness among men can be due to an inherited sensitivity of a condition known as DHT. DHT may result in hair thinning, hairlines that recede and finally falling out and leave them bald spots. Researchers had found that the condition affects about sixty-seven percent of all men. There are many products available on the market. Thus, sometimes it can be difficult to decide which one will be best. Procerin is actually an exception among all these products. It’s packed with strong herbal components which blocks any production of DHT. Therefore, preventing loss of hair while encouraging the growth of new hair. No prescription is needed and it doesn’t hold any drug that is harmful, plus it’s clinically proven for its effectiveness and to be safe. It’s available in a topical formula and also a capsule. This product is quite popular amongst men that suffer from loss of hair. It certainly will reach the top of treatment options in 2017 for baldness. It’s available at any pharmacy without a prescription. The customized original version contains ingredients that are very important and it works very effectively because it’s more potent. A prescription will be needed for this one, but it will be worth it and results are much faster. Rogaine is quite popular among men and women because of the formula it contains to grow hair on bald spots. This is also a product of Minoxidil. It’s an element that is essential for the re-growth of hair to their usual volume and length in patients that goes bald. Research has shown that about sixty percent of men that used this product have experienced re-growth of hair within four to six months by using Rogaine on their bald spots. 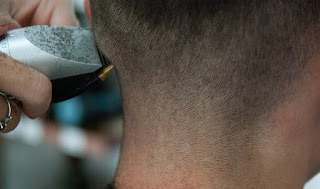 You can also have a haircut or styling that is suitable to cover those bald spots. You can grow a beard to transfer the attention from your hair to your beard. Consult your local barber shop to find out what they can offer you.